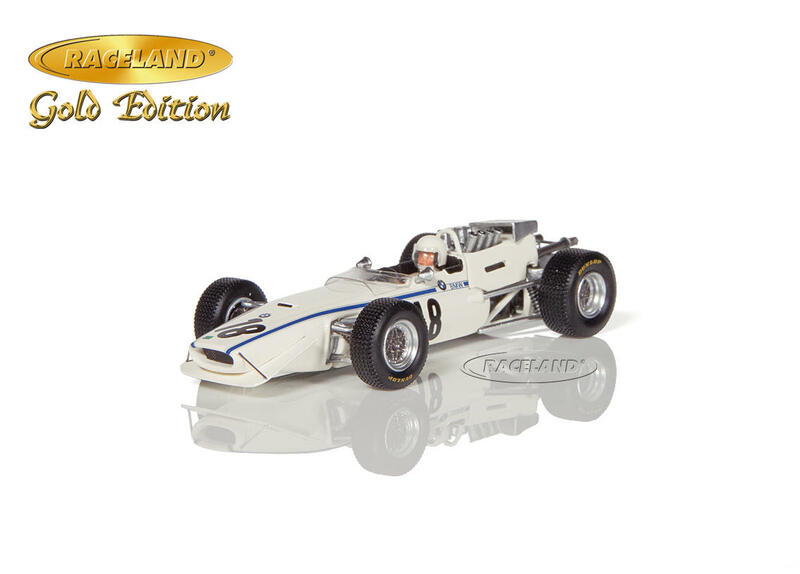 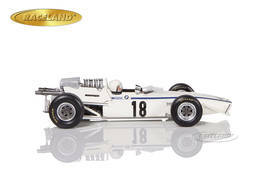 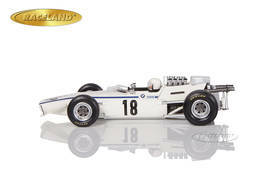 The product "Lola T102 BMW 2.0 F2 10° F1 German GP Nürburgring 1968 Hubert Hahne" was successfully added to your wishlist. With Hubert Hahne at the wheel the BMW factory entered a 2-litre Lola T102 BMW Formula 2 car for the German Grand Prix of 1968. 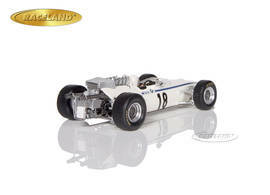 This F1 race at the 23 km Nordschleife of the Nürburgring under dreadful conditions with rain and fog was attended by 250,000 spectators. The combination of BMW's 4-valve Apfelbeck engine and the track experience of Hahne resulted in a sensational 10th race position ahead of several F1 cars.